【棉花糖女孩】隨時關注時尚趨勢，提供應有盡有的時尚精品，商品琳琅滿目，周周上新，歡迎大家參觀選購喲！ ■優化手機介面您喜歡逛網拍、線上購物嗎？現在不用再忍受用手機看PC版網頁的困擾，我們提供最優化的手機購物介面，讓您任何時候都可以盡情逛街買東西。■多頻道首頁，快速瀏覽最新流行 全設計, 首頁左右整頁滑動，輕輕鬆鬆找到您喜歡的商品類型、收藏商品、瀏覽記錄。■高畫質美圖呈現，比雜誌還好看！高解析度的手機當然要配上高解析度的商品圖片，瀏覽每個商品讓您彷彿置身賣場，每個商品細節都看得清清楚楚。 ■簡單加入會員使用Facebook帳號或手機號碼，就可輕鬆加入會員開始消費！ ■推播通知最新促銷活動好康活動不再錯過！建議您開起推播功能，讓您得知第一手促銷優惠活動！ ■安全又快速結帳+超商取貨付款我們提供您最高等級加密的信用卡刷卡功能，也提供全家超商取貨付款等服務。 ■好東西與好朋友分享喜歡的商品馬上用Facebook、LINE或傳簡訊分享給好友。 ■手機、電腦同步只要您登入會員帳號，我們會幫您把收藏商品、購物車等資料同步在雲端，不論您想用手機或電腦查詢，通通找的到！  Stay cottoncandy girl fashion trend, fashion boutique offers everything, anarray of goods, the new week in and week, welcome to visit to buyyo! ■ optimize the phone's interface You like shoppingonline auction, online shopping? Now do not have to endure watchingplagued PC version of a webpage using a mobile phone, we provideoptimal mobile shopping interface, so you can enjoy any time to goshopping. ■ Multi-Channel Home a quick glance at the latest trendsFull design, full page slide around home, easily find your favoritetype of goods, collection of goods, browsing history. ■High-quality rendering Mito, better looking than the magazine!High-resolution mobile phone of course, coupled withhigh-resolution product images, browse each item so that if he werein the store, every product detail is clearly visible. 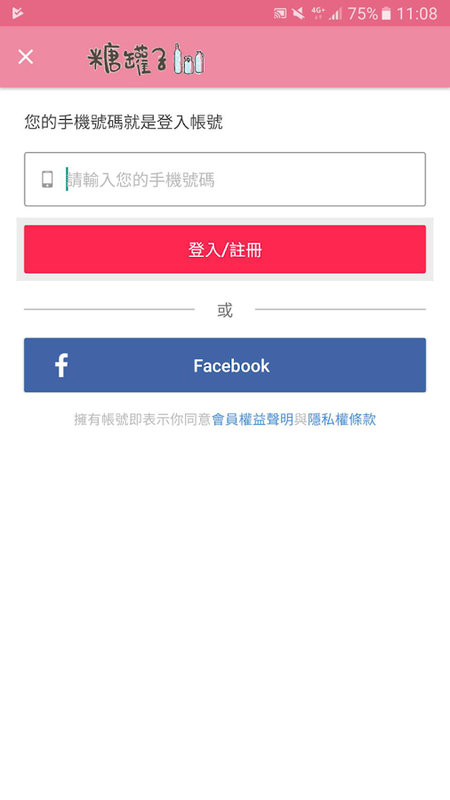 ■ SimpleSign Up Use Facebook account or phone number, you can easily joinmembers start spending! ■ push notifications latest promotionsGoodies activities are no longer miss! We recommend that you openfrom the push function, allows you to see firsthand promotionalactivities! ■ safe and fast payment checkout + Chain Store PickupWe provide you with the highest level of encryption of credit cardfunctions, but also provide family convenience stores to pick upthe payment and other services. ■ Good things to share with friendsFavorite products immediately share with friends with Facebook,LINE or SMS. ■ phone, PC synchronization As long as you are loggedMember Account, we will help you the collection of goods, shoppingcarts and other data synchronization in the cloud, whether you wantto use the phone or computer search, to find all!